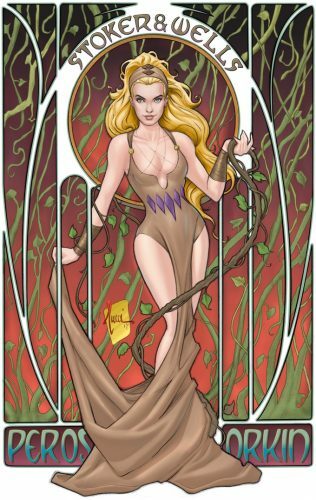 Steampunk Fridays – Kickstart the Comic – Stoker and Wells – The Graphic Novel! Another one made for Steampunk Fridays… I’m not sure how much more I need to say… let’s get to the comic! Kickstarter campaign ends on Tuesday, November 21, 2017 at 3:39 PM EST. In 1894 London, a 20-something H.G. 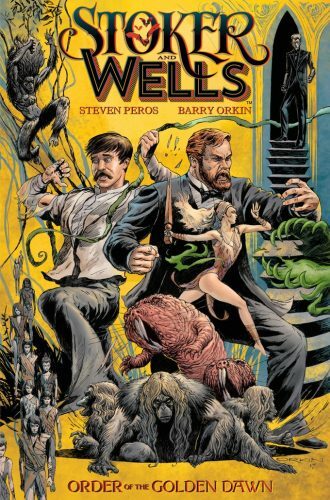 Wells and a 40-something Bram Stoker meet and have a very unexpected 48-hour adventure that leads to the creative inspiration for both writer’s first great success – THE TIME MACHINE for Wells and DRACULA for Stoker. It is not only a thrilling, scary, fun, and beautifully drawn adventure tale, but also a story about putting aside fear and insecurity and stepping into your true identity. These real-world people living out the strange lives that eventually their characters will encounter is that cool kind of idea that fills my head with all sorts of ideas. Who else could you potentially use? And what crazy adventure(s) could you take them on? Plus, in this particular case… well, I’ve always loved the Time Machine and who doesn’t love Dracula (you’re wrong if you raised your hand!)? Definitely not a pair I would have thought to combine, but I’m interested to see how this might work out. One of the cool things is that at the $75 reward level, you can get a Billy Tucci cover (a Kickstarter exclusive). At higher values you can get a Billy Tucci Portfolio review ($300) or a Script Evaluation for your screenplay or tv pilot ($300 and not one you see all that often on the comic side). To learn more about Stoker and Wells, check out the Facebook Page here. Tagged Barry Orkin, Billy Tucci, Chris Summers, J.C. Vaughn, Kickstart the Comic, Kickstarter, Marshall Dillon, Steampunk, Steampunk Fridays, Steven Peros, Stoker and Wells.